"While one of the most extraordinary experiences, motherhood can be one of the most isolating experiences a woman will ever face. All that most of us want to hear is that we are not alone on this crazy ride - and that is just what A Letter for Every Mother will accomplish. Compiling a collection of stories that every single person in this market will relate to, with a message that each of them craves, is a genius move. I believe this book will sell itself and I can't wait to see it published." "Kara and Regan have managed to capture the entire essence of being a mother - the highs, the lows and everything in between - in this beautiful collection of essays. You will find yourself comforted by the commonalities we all face, and reminded that, even though it doesn't always feel like it, we're all on the same side. Motherhood, like the words on these pages, unites us." Kara Lawler and Regan Long invite readers to join their tribe of mothers and be encouraged, uplifted and inspired on theirparenting journey. A LETTER FOR EVERY MOTHER is the perfect gift for every mother. 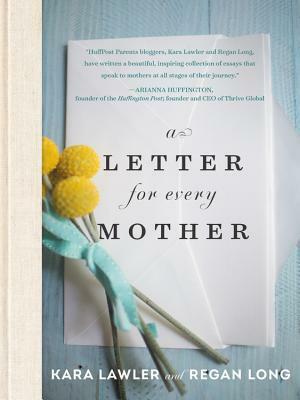 In A LETTER FOR EVERY MOTHER, authors Kara Lawler and Regan Long have written a heartwarming compilation of letters addressed to mothers from all walks of life, meant to celebrate, inspire and commiserate with all stages of the parenting journey. This book will encourage, inspire and uplift mothers from all walks of life. Kara and Regan invite readers to join their tribe of mothers, to learn from one another and band together to face one of the hardest jobs in the world: becoming and being someone's mother. Their mission is to inspire and to create a community through this book to remind mothers that we're all in this together-an especially welcome message in the current atmosphere of competition and anxiety of parenting. A LETTER FOR EVERY MOTHER is warm, inviting, inclusive-and the tone is inspirational or irreverent, depending on the letter or subject you happen to turn to. After all, motherhood is an oxymoronic experience; it is both exhilarating and exhausting, uplifting and demeaning, wonderful but terrible, too. A Letter for Every Mother is the perfect book for the mom to be or just capturing the hardest and most enjoyable moments of motherhood. This book is beautiful. It is a great reminder that women are all together in the journey of motherhood and that they aren't competing with one another, which is often the lie that women believe. This book is a compilation of stories and wisdom from other mothers who have amazing wisdom and advice through motherhood. I love the format of this book too. The hardcover is beautiful and so are the pages. It feels light and great in my hands. I love reading this kind of book now as it is such an encouragement to me. The letters in this book address every season of motherhood and make the woman who may feel alone in her season, find comfort. It is such a beautiful book through the way it looks, feels and the way it reads. Overall, this is a wonderful book and would be perfect for a great gift. It can be read as a devotional or as a topical discussion that women have with other women in Bible study groups for moms. I really enjoyed this book. I give this book 4.5/ 5 stars. A favorable review was not required by the publisher, but an honest review, which I have given here. 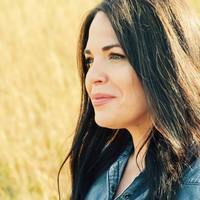 Kara Lawler has been published in various publications, but has shown up most regularly on The Huffington Post, Parenting, and the Today Show. Tori, the editor for Mamalode, said, "Kara Lawler is an eloquent writer whose pieces explore a depth of emotion and honesty that is nearly unparalleled. She is as talented a writer as she is storyteller, and when she entwines the two, she produces pure magic."